Looking for a professional translation agency in London? Comtec has you covered! Comtec translates for both SMEs and multinational corporations working across dozens of sectors into more than 200 languages. But we’re much more than just a translation agency in London. We’re a global communication partner. We will listen to you, work with you, draw on our extensive network of translators and apply our knowledge of local dialects and business practices. We make sure you get your message across in precisely the way that matters most. In short, we don’t just translate: we speak your language. 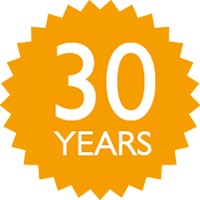 Over the last 30 years we’ve successfully built an internationally recognised industry-leading and award-winning translation company with an excellent reputation for delivering success. Despite having more than 3,000 translators in our network, we still maintain a highly individual approach to each client and project. We hand pick the very best specialist translators for every assignment so you know you will always get the right people for the job. Comtec was one of the first UK translation companies to achieve ISO 9001:2015 and 17100:2015 certification – the translation industry’s quality standard. Our approach means that we’re confident that you will receive perfect translations, every time. In fact, 100 percent of our clients say they would recommend us to a colleague. Our translators are our most valuable asset and we have a huge bank of talent and experience to draw on. What’s more, we use sophisticated technology to streamline and simplify the translation. Translation memory software stores all previously translated materials, including set phrases and specific terminology for reuse again and again. Whilst the software is cutting edge, its effect for our clients is straightforward: faster, higher-quality and lower-cost translations. We’ve also developed a custom-made in-house translation management system, Dovetail, to give our clients access to previous translations and real time project data. Whilst Comtec is a translation company in London, our work doesn’t begin and end with turning one language into another. As well as a full range of language, translation and interpretation services, we offer complementary artwork and design services – we know it’s important that your finished product looks great as well as being linguistically accurate. Not only that, but Comtec will liaise with local markets to make sure that whatever we work on will be exactly the right fit for your intended customer base. All of this might sound like a lot, but ultimately we keep simplicity at the heart of what we do. We want to help your business communicate your message as effectively as possible to new markets. Our reputation and success is based on our straightforward approach, transparent pricing and genuine desire to work closely with you to get the best results for everyone involved. Please get in touch at london@comtectranslations.com or call us on +44 (0) 20 7329 5004. We’re here ready and waiting to help.